Come with us into the world of stacked cakes with Karen, our Sugarcraft expert. It’s easier than you think. Karen will show you tried & tested techniques drawing from over 30 years experience. During this course, you will learn how to create an elegant 2 tier stacked and fully decorated Celebration Cake finished with a large sugarpaste bow top. Choose your colour scheme from our popular range. A great course if you are thinking of making your first stacked cake or if you are interested in perfecting existing skills. Inclusive in the cost are all of your raw materials including the Genoese cake and light refreshments. Please advise us if you have any dietary requirements. You do not need to buy any equipment as we supply everything you need to use. At the end of this course , you will have a delicious 2 Tier stacked Celebration Cake to take home and enjoy with your loved ones! • Split, fill and level a cake to create a deep cake base. • Cover a cake & cake board with professional finish. • How to design and stand stacked cakes. • Discuss the suitability of different types of bases. • How to cut and serve tiered cakes. • Some of the Health and safety issues if you decide to sell your products. • Storage and transportation advice. 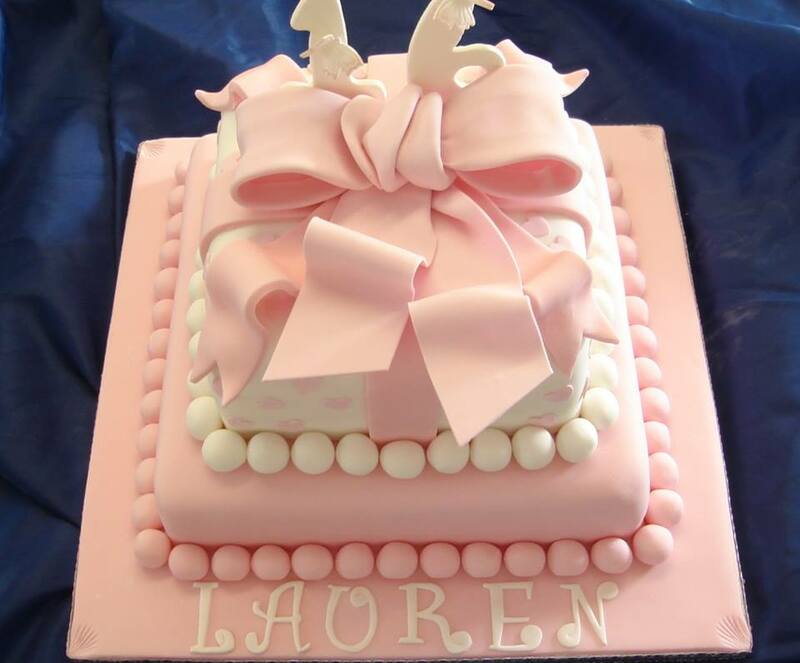 Be the first to review “2 Tier Bow Cake” Click here to cancel reply.